I went to a great, weird elementary school. One of the great, weird things about it was that we didn’t have assigned classrooms or teachers. Or rather we did have these things, but only briefly. We had Homeroom for a few minutes at the beginning and the end of the day. We saw our homeroom teacher at these times and at our once-a-week, one-on-one conferences. Other than that, we were mostly on our own to complete the goals we’d come up with at our conferences. The greatest, weirdest thing about my elementary school was Cube City. Simply put, Cube City was a structure/tower/edifice/thingamajig. Standing maybe 12 feet high, this structure/tower/edifice/thingamajig was made up of hollowed-out, human-sized blocks, stacked next to and on top of each other. It was located in the corner of the school’s library. After all, that’s what it was for. And it worked. Kids would climb to the top of the structure, book in hand. Others would army crawl across the carpet to the bean bags located on the first level of the structure. They’d nestle into the bean bag at the exact same time they were nestling into the book they’d just checked out. I didn’t think about this then, but it occurs to me now that whatever mad genius architect built Cube City understood that reading—when it’s done right—is a physical experience as much as it is a mental or emotional one. All of us, I think, at some level know this. We talk about the abstract act of reading in concrete and, yes, physical terms. We think of devouring and consuming books. (People talk of being voracious readers.) Books are described as pulse-pounding or breathtaking or riveting, the last of which refers to the experience of being riveted to one spot, literally immobilized by absorption. Before we can be riveted, we often first need to escape this world and enter a different reality (the author’s, the book’s, the story’s). Cube City offered this possibility literally. It allowed kids to get away, to drop everything, to burrow into a human-sized cube just as their imaginations were burrowing into the plot of a story. That was the idea, anyway. Looking back, it’s totally possible that some kids just used Cube City to waste time or sleep or avoid doing actual work. Come to think of it, I was one of those kids—though I didn’t realize it at the time. Truth be told, I didn’t realize much of anything at the time. In fact, I didn’t realize TIME at the time. I was too busy reading—too busy, that is, losing track of time. I’d go into Cube City with a book and wouldn’t come out until I’d finished or a perturbed teacher tracked me down. If it was my third and fourth grade homeroom teacher, Ms. French, she’d want to know if I’d done any of the math or science work I’d promised to do that week. This was essentially a rhetorical question: we both knew the answer was no. As always, I’d gotten sick of, frustrated or bored by those subjects and had sought refuge in Cube City and whatever book I currently had my nose in. Our weekly one-on-one conferences were similarly unproductive. We’d go through the motions of making sure I’d achieved my academic goals, then she’d scold me for failing to do so. Don’t get me wrong—she wasn’t nagging. Her scolding was richly deserved. I dreaded those meetings because I knew exactly how they’d go and that I had no one to blame but myself. That’s one of the reasons I wanted to escape—the reality of my guilt was too much to bear. Ms. French would rightly chastise me for spending too much time in Cube City and not enough time on my schoolwork. And I’d shuffle away from the conference teary-eyed and feeling so badly that I’d make a beeline for Cube City so I didn’t have to feel like that anymore. All these years and books later, I write kids’ books myself. My primary goal—one that, unlike my weekly elementary goals, I do my best to accomplish—is to create stories that invite kids to experience reading in the same physical way I did. I want them to inhale books, to wolf them down hungrily. I want their pulses and heartbeats to quicken. I want the hairs on the backs of their necks to tingle. I want their stomachs to hurt from laughter. I want them to escape from their reality and lose track of time. I don’t think Cube City exists anymore. If memory serves, they tore it down and took it away shortly after I moved on to middle school. Too dangerous, was the rumor. A kid had fallen off, some middle schooler told me—broken a bone or two. I doubt that last rumor is true, but I hope it is. Not the part about the broken bones, of course—but I like to think there was a kid reading all the way up on the top level, so riveted by the words on the page that he or she forgot all about space and time in the real world. So riveted, was he or she, that they forgot where they were. So riveted there (wherever the narrative had taken them) that he or she became un-riveted here. He or she unconsciously leaned back, unconsciously assumed—incorrectly—that there was a wall to prevent them from falling. I like to think that kid ended up physically fine—that he or she climbed right back up to the top so they could fall again, this time less literally: plummeting, tumbling, hurtling, head over heels in love with another story. Patrick Hueller has an MFA from the University of Minnesota. Through various pen names, he has written several YA and MG novels. Foul, a sports-horror story written under the name Paul Hoblin, was described by Booklist as “the strongest entry yet in the Night Fall collection” and “unbearably tense.” The Beast (also as Paul Hoblin) was a School Library Journal selection. 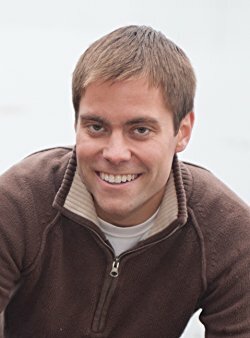 His most recent titles include Wolf High and The Wish (as P.W. Hueller), both of which made SLJ’s list of “Accessible Reads for Struggling Reluctant Readers.” His work is included in several anthologies, including Fright Before Christmas and Love and Profanity: A Collection of True, Tortured, Wild, Hilarious, Concise and Intense Tales of Teenage Life. Mr. Hueller is a writing instructor at Hamline University in St. Paul, Minnesota. Check out more of his and Stu’s thoughts on Twitter (@callmebirdbones). Stu Sanderson is no ordinary eighth-grader. Almost seven feet tall, he vanishes into thin air, duels knights with ninja stealth, lifts the downtrodden, and woos the coolest, best-calved girl in school. 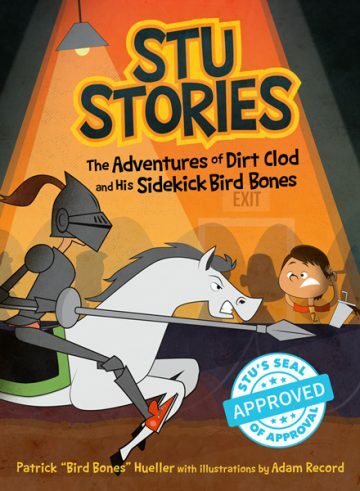 Become a middle-grade legend with Stu and his sidekick, Bird Bones, on the journey of a lifetime in Stu Stories.